“In light of claims raised by nine appellant groups, Council staff recommends that the Council conclude that substantial evidence does not exist in the record to support the Department’s findings that California WaterFix is consistent with the Delta Plan. Staff further recommends that the Council remand the matter to the Department for reconsideration, pursuant to Water Code section 85225.25,” according to the report. Brodsky said the council staff accepted 3 of Save the California Delta Alliance’s main arguments: that the Waterfix is not consistent with D-1641 water quality requirements, particularly that it violates the Export to Inflow ratio; that WaterFix does not respect local land uses because of impacts on recreation and legacy communities; that WaterFix does not comply with the Delta Plan policy to reduce reliance on the Delta as a source of water supply. There was no Council action taken at the November 15 public workshop held in Sacramento, but the Council is expected to take action on the determination at their December 20-21, 2018 meeting. 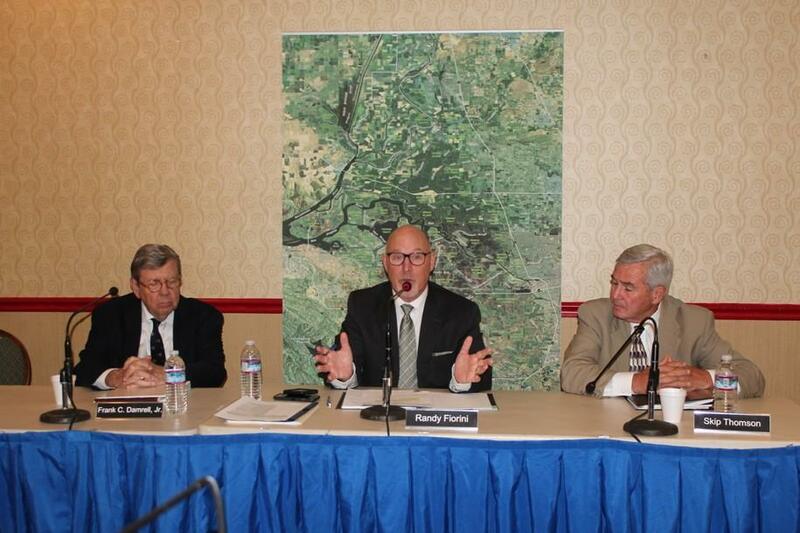 The big news was at the end of the November 15 workshop when Randy Fiorini, the Chair of the Delta Stewardship Council, recommended that the Department of Water Resources further define its Delta Tunnels project and suggested that DWR withdraw its document before asking the Council to approve the project. “It is North Delta Cares’ concern that although CEQA concludes that there are no sensitive receptors exposed to hazardous materials, substances, or waste as a result of construction of the water conveyance facilities under the proposed project and therefore, there would be no impact, the Legacy Town of Hood and its inhabitants […] is ¼ mile from the construction of Intake 3 and ½ mile from construction of Intake 5. These intakes sandwich this Legacy Town and the construction impacts create a hazardous situation for the people and animals living there,” according to the appeal. Since the Delta Stewardship Council must find that WaterFix is consistent with the Delta Plan before DWR can begin construction of WaterFix facilities, “It now appears that there is almost no chance that Delta tunnels will be approved and begin construction before Governor Brown leaves office in January 2019,” said Shutes.